Posted in Air Conditioning | Comments Off on Do I Need an HVAC Expert to Help Select a New Air Conditioner? What High-Efficiency HVAC System Is Right for My Starke Home? Did you just move into a new home that has an old and obsolete air conditioner? Are you concerned that your existing AC won’t make it through the summer? Because of the significant role that your AC plays, investing in a new air conditioner is no small decision. While not every homeowner will want to splurge on a top of the line system, there are good reasons to consider a high-efficiency HVAC system, including improved energy efficiency, versatility, and longevity. Which one is right for you? Posted in Air Conditioning | Comments Off on What High-Efficiency HVAC System Is Right for My Starke Home? With summer fast approaching, now is the time of year when homeowners start to get their air conditioning systems ready for the season. 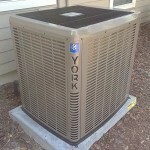 There comes a time with every air conditioning system, however, when maintenance and repairs simply aren’t good enough. At that time, the only thing left to do is replace your air conditioner. As this is the perfect time for new air conditioner installation, you should take a hard look at whether your current air conditioner can make it through another year. What follows are 3 ways that you can tell whether or not you need to replace your system. If you’ve kept your system in pretty good operating condition over the years, you probably have a good idea of how much it costs to operate it from month to month. If you notice that costs start to increase over the course of a few months, it might mean that your system is wearing out. The wear and tear that all systems accumulate over their lifetimes will eventually cause yours to steadily decrease in efficiency. That forces it to operate for longer to achieve the same results, which costs you more money. Another good way to tell whether or not you need to replace your air conditioner is to keep track of how often it requires repairs. Normally, you shouldn’t need to have your system repaired more than once or twice a year. Older systems have many more worn out parts, however, which are liable to fail much more often. 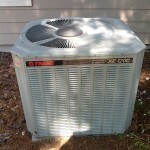 If you have to have your air conditioner repaired every few months, it’s a good sign that it is ready to be replaced. The average lifespan for an air conditioner is between 15 and 20 years. 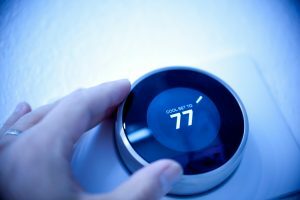 It is possible for an air conditioner to operate well past that point, but oftentimes the problems that begin to occur at that age are enough to warrant a new system. If your air conditioner is older than 15 years, you might want to consult a professional about replacing it. If you think it may be time for a new air conditioner, call touchstone Heating & Air, Inc. We provide air conditioner installation services throughout Gainesville, FL. Spring is here and summer won’t be far behind. That means that you need your air conditioner to function at peak capacity. If your current model is old or shows signs of serious wear, now is the time to consider new air conditioning installation in Gainesville FL. And anyone considering a new unit needs to find an installation services that knows how to do the job. You can select from a number of different companies, many of whom possess adequate credentials. But to get a really great service, you have to go beyond that. Here’s a short list of what to look for in an air conditioning professional. Affiliations. Proper licensing and certification is a basic necessity, but quality organizations will have affiliations that go beyond that. In particular, look for companies that are endorsed by a local Chamber of Commerce, which provides a third-party assurance that your air conditioning professional is up to snuff. Longevity. Companies that are just starting out may be quite reliable, but a company that has been in service for a fair amount of time – at least a decade – has a proven track record for success. Free estimates. 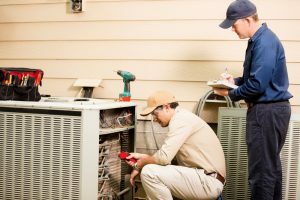 A reputable company will always provide estimates in advance, so you know what the financial picture looks like before installation begins on your new air conditioner. Emergency services. You never know when you might need a trained technician and breakdowns don’t always follow 9-to-5 hours. A company that offers 24-hour emergency service is thoroughly dedicated to customer satisfaction. Positive reviews. Even in the information age, good word of mouth is still an excellent means of determining quality. Look for air conditioning companies that post positive reviews from satisfied customers: indications of a history of quality service. If you know what to look for in an air conditioning professional, then Touchstone Heating & Air Inc. has what you need. 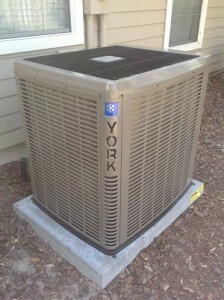 If you’re interested in new air conditioning installation in Gainesville, FL, call us today to set up a consultation. You’ll be glad you did! We’ve been in business since 1998, we offer emergency service and free estimates, and we proudly stand by affiliations from Chambers of Commerce and happy customers alike.